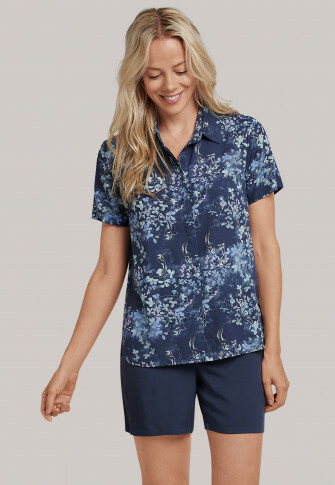 These elegant women's pajamas combine a romantic look with a light and pleasantly soft viscose weave! 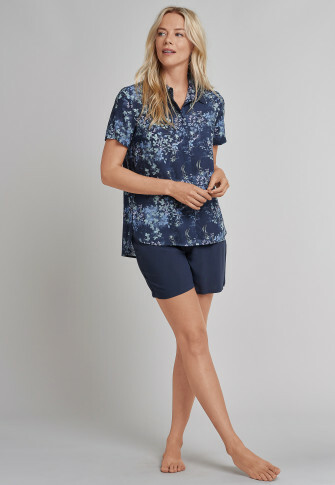 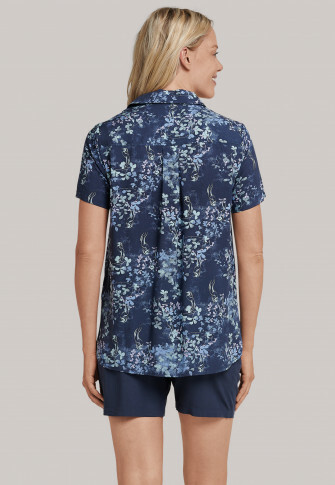 The short-sleeved top features an Asian-inspired allover print with cranes and flowers in dark blue, mint and lavender, a classic blouse collar, concealed button placket and longer back. 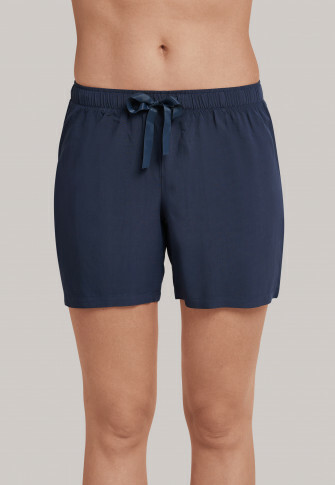 The dark blue shorts with a pretty satin drawstring at the waist are perfect for this. 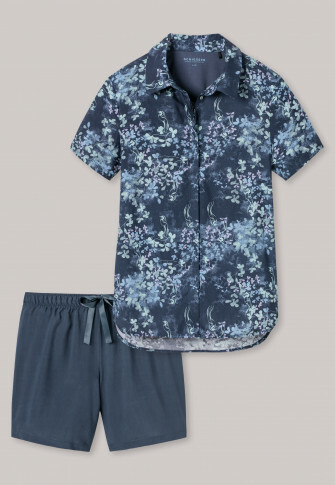 The best SCHIESSER quality for wonderful dreams!